San Jacinto Chapter Web Page! 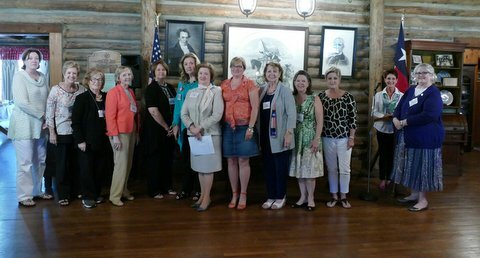 Our chapter meets on the first Thursday of each month October through June at 10:00 a.m. 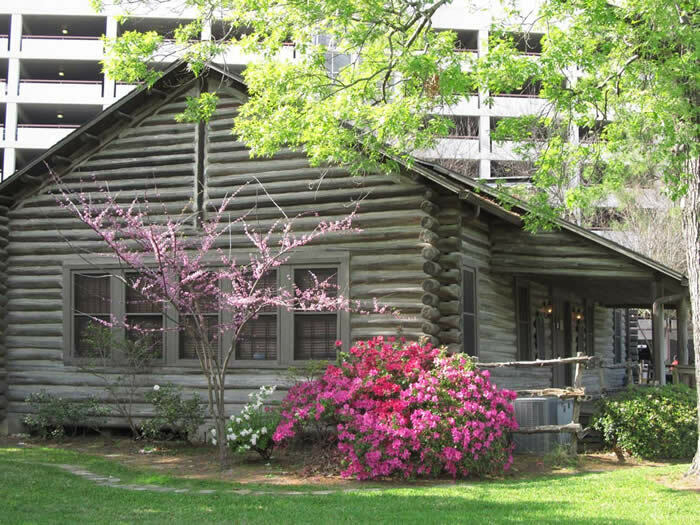 Most meetings are held at the Pioneer Memorial Log House, 1510 Cambridge Street, Hermann Park, Houston, TX. We are proud of our long history, which includes helping in the establishment San Jacinto Battlefield. Our Pioneer Memorial Log House building has held a special place in Houston since it was built in 1936 to serve as a Hospitality House during the Texas Centennial celebration. San Jacinto ladies built this log house with private donations during extremely difficult economic times. The Brooks Cottage serves as a support office and our beautiful Texas Heritage Garden surrounds both buildings. We welcome inquiries for membership, full or associate. We are happy to provide information to teachers about tours for their school groups. Rental rates are available for receptions, weddings and other functions. We welcome your support in pursuing our goal to “Teach Texas” to new generations of Texans, newly relocated Texans and to all people interested in our state’s glorious history.